When writing my second cookbook, Banh Mi, which by the way is already available for preview and pre-order, I tried to share authentic and traditional recipes for Vietnamese sandwiches, condiments and sides. If you've ever tasted a bánh mì, you probably are familiar with the standard condiment of pickled carrots and daikon. It takes the place of cornichon-based pickles (tiny French gherkin pickles) found in Western sandwiches. You can of course vary the ingredients to your liking, and in this recipe I prepared a modified version of the bánh mì condiment with shredded Chinese cabbage, pickled lotus and freshly-picked satsuma mandarins that baby Aria helped me gather from our garden --follow me on Twitter and Facebook to see more pictures-- (sadly it was our very last batch). With a few peanuts and a nice dressing, it makes a great salad. Though it isn't strictly speaking a traditional pickle, you could also use it in your own bánh mì sandwich. The flavors are mellow enough to let the meat or tofu of your choice shine. 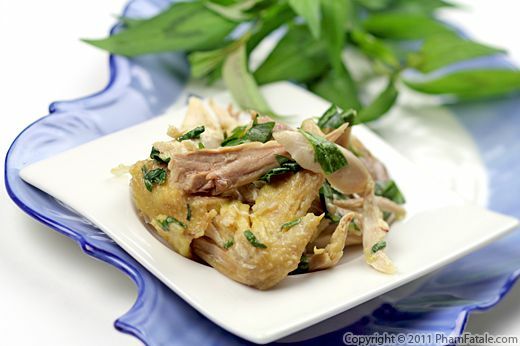 Vietnamese salads are usually made with the same dressing. 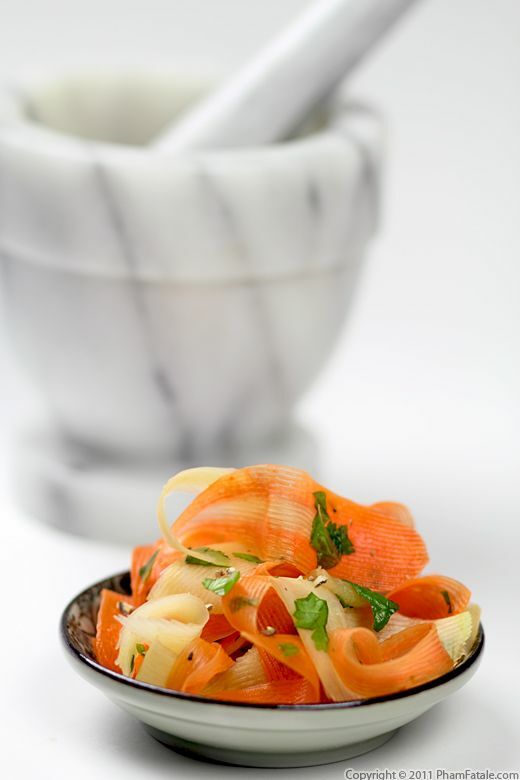 A blend of lime juice, garlic, sugar, red Thai chiles and fresh mint leaves bind raw vegetables into a flavorful and healthy salad course. Today, I made green mango salad, called gơi xoài xanh. 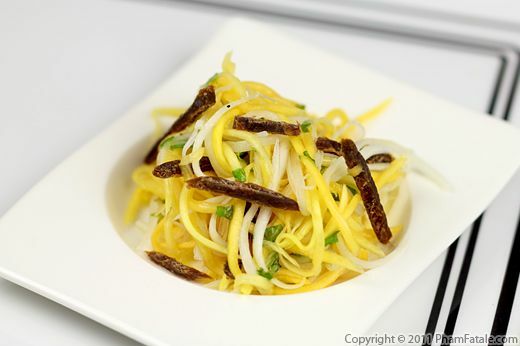 I create long, thin strips of mango that I mixed with similarly sliced carrots. 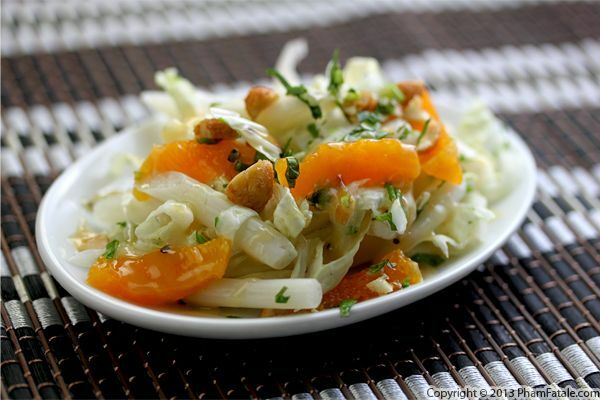 It makes a very tasty salad thanks to the tangy, sour and sweet flavors. 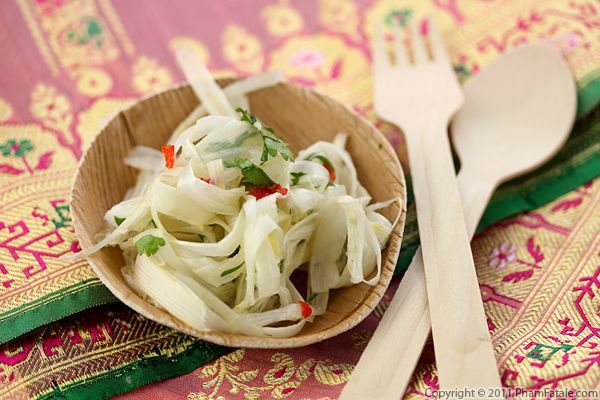 I made it vegetarian, but you could pair the raw vegetable salad with boiled, shredded chicken (gơi gà), boiled shrimp, dried shrimp (tôm khô) or fire-roasted shredded dried squid (khô mực), which is my favorite.